I live in Portland, Oregon where you can hardly swing a cat without hitting a poet. 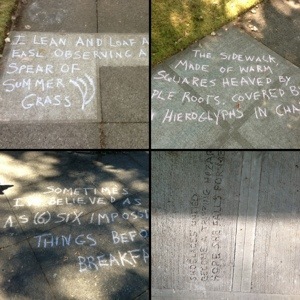 Here are a some poems people have written on the sidewalks in my neighborhood. This entry was posted in journal, poetry and tagged poetry. Bookmark the permalink.